BRIGHTON, Mich. - Ford Motor Company has reached another milestone, having just installed the 500,000th 6.7-liter V8 Turbocharged Diesel Engine. The record hitting engine was installed into a new 2014 Ford Super Duty F-350 Lariat at a Kentucky Truck Plant in Louisville. This milestone is significant simply because the engine was only just introduced in 2011, making the engine still fairly new to the market. It was designed to be an engine that would be able to combine performance, towing capability, and fuel economy - and it has done exactly what it was made to do. The 6.7-liter V8 diesel engine produces 400 hp and 800 lb.-ft. of torque. It also has the ability to tow up to 24,700 pounds in the F-450 pickup, and 26,600 pounds in the F-550 chassis cab. This engine is compatible up to B20 biodiesel. This means that you have greener fueling options of up to 20 percent biodiesel and 80 percent petroleum diesel. The way the engine is built allows for it to be easily worked on. This reduces downtime since all major engine components are easily accessible. The engine is made of compacted graphite iron - a material that is stronger than cast iron. It's also optimized to reduce weight but keep the maximum strength. This allows the engine to meet the demands of the higher hp and torque. There are so many great benefits to buying a 6.7-liter Power Stroke V8 Turbocharged Diesel engine. If you'd like to discuss all the details and find out which vehicles come standard with this engine, stop by our dealership today! We have a great selection of New Ford Trucks that you're going to love! If you're not in the market for a truck, our helpful and knowledgeable sales staff will be more than happy to help you with anything from purchasing a New Ford Car to assisting with Used Car Loans. So come see us and let us help you into a vehicle you'll love to get behind the wheel of. Brighton Ford is located at 8240 Grand River Ave. just north of I-96 in Brighton. We are a family owned and operated business that strives for customer satisfaction. 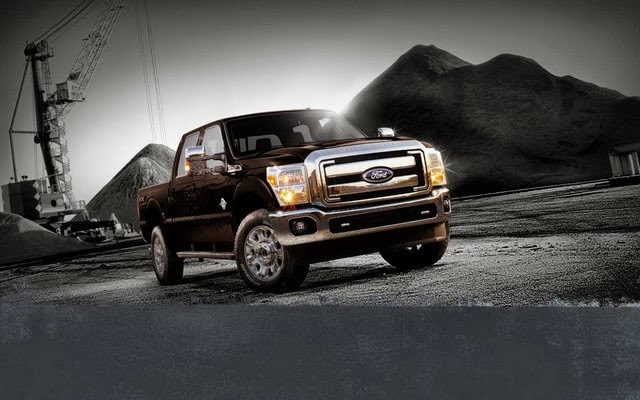 For more information on Brighton Ford visit BrightonFord.com or give us a call at (800) 836-8206.